I was living in Moore on May, 20th 2013. For those of you living under a rock, or those just not familiar with Okie lore, that was the day a massive F5 tornado came barreling through the center of Moore, Oklahoma. I was near the tornado, but luckily didn't sustain any damage or injury. However, the tornado had devastating effects. Twenty-four people lost their lives that day, and more than three-hundred were injured. I have a soft spot for the city of Moore and the resilience they have demonstrated as a city. And I must say, it's exciting to see their growth over the last few years. I had a recent session with long-time Moore resident, Brittany Dennis (of Molly Mae Photography). Her home sustained minor damage on May 20th, but other's on her street weren't so lucky. She has a love for her city, and to see her loyalty to her home town is down-right heart-warming. 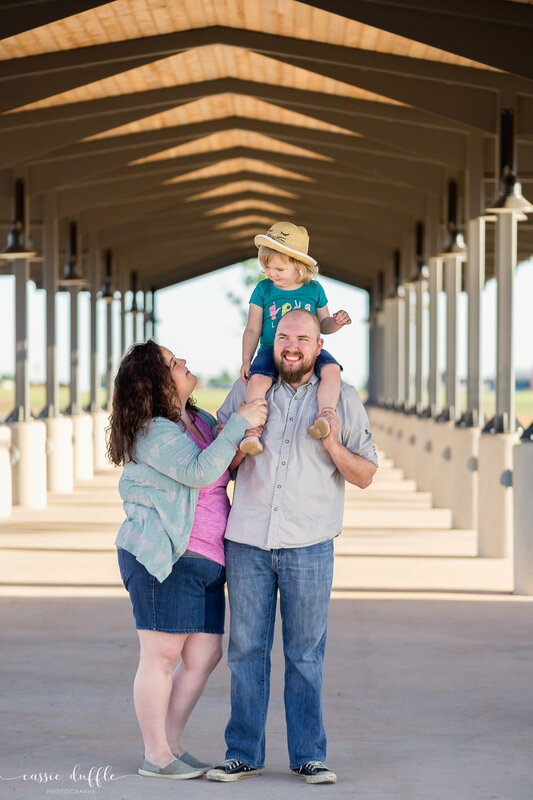 So when she suggested a brand new (amazing) park in Moore as her desired location for her photo session, I just couldn't say no! 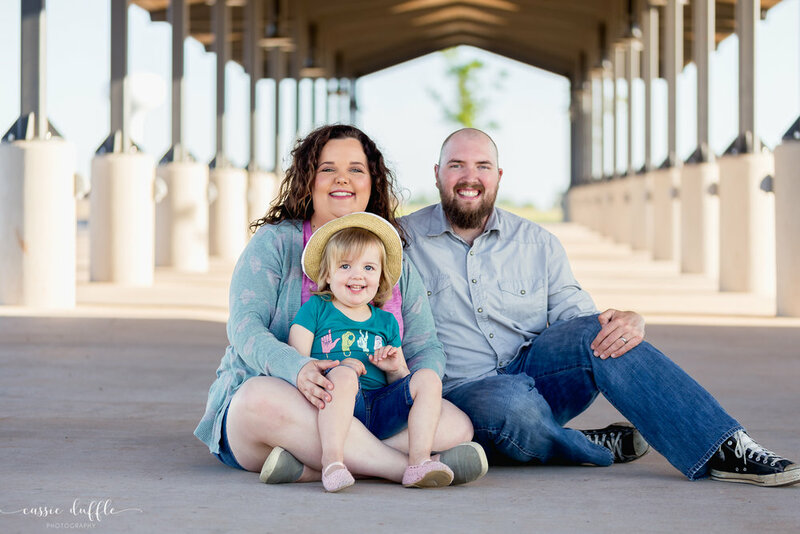 Not only did she want to feature her family, her adorable little girl, and snag some headshots, it was important to her to showcase HER city.